Growing up in the 80’s with a musician father, Amber was inspired by the music scene and the raw gritty attitude that came with it. Fascinated also by the styles of that era, and her mom a sales rep for global hairdressing brand, Toni & Guy, her innate creativity was drawn to working with hair. She was sketching hairstyles in high school and doing hair behind the chair by age 20. Amber is passionate about creating trust, listening clients’ wants and needs, being the gateway to achieving looks that they want, and knowing what's achievable for that client. She is passionate about bringing their inherent beauty to light, and giving them confidence that reaches the inside from the outside. Specializing in both men's and women's hair, and skilled in a broad spectrum of coloring techniques, smoothing treatments and extensions, she provides product knowledge and easy techniques for everyday wear. After almost 2 decades as a stylist, she still dedicates time to education and attending events/ shows revolved around music, art and the hair industry. We are always learning and honing ourselves. 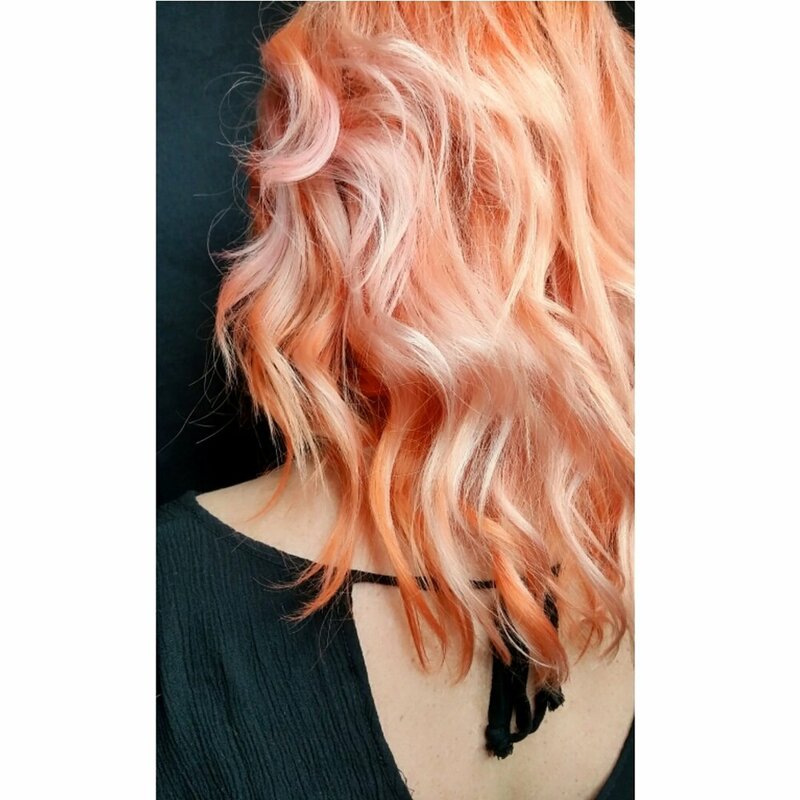 Amber is a Loreal Color Professional, and works with additional color lines including TIGI, Pravana, Joico Intensity, Pulp Riot and Redken. Her broad spectrum of coloring includes corrective color, vivids and balayage techniques. She is certified in Hot Heads Extensions and Brazilian Blowout, and offers treatments including protein, Olaplex and B3. Growing up in the 80’s with a musician father, Amber was inspired by the music scene and the raw gritty attitude that came with it. Fascinated also by the styles of that era, and her mom a sales rep for global hairdressing brand, Toni & Guy, her innate creativity was drawn to working with hair. She was sketching hairstyles in high school, and doing hair behind the chair by age 20. Her talents in creating trust, listening clients’ wants and needs, and assessing what's achievable for that client, enable her to realize the looks they desire. She is passionate about bringing their inherent beauty to light, and giving them confidence that reaches the inside from the outside. Specializing in both men's and women's hair and skilled in a broad spectrum of coloring techniques, corrctive color, vivid colors, balayage, smoothing treatments and extensions, she provides product knowledge and easy techniques for everyday wear. She is a certified Network Educator for Bumble and Bumble. She is also certified in Hotheads extensions and Brazilian Blowout. After almost 2 decades as a stylist, she still dedicates time to education and attending events/ shows revolved around music, art and the hair industry. We are always learning and honing ourselves.